Opening week of 2014 high adventure programs at The Summit Bechtel Reserve kicked off June 8, 2014 and we’ve captured some of the sights. From setting up camp to mountain biking to shooting sports, participants dug in and learned a little bit about themselves and their friends. 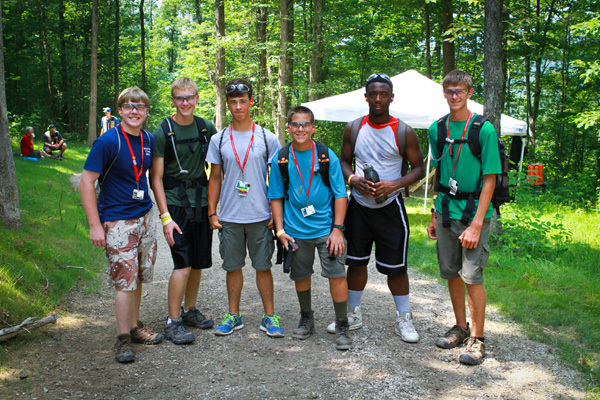 Just click on an image below to see what Scouts and Venturers experienced at The Summit. In addition to high adventure activities, opening week participants took part in service work. In the evenings, they explored Action Point, the Sustainability Treehouse, and Boulder Cove. As an extra bonus, Scouts and Venturers tried their hand at sporting arrows at Freedom Field. For those of you interested in attending The Summit, registration for 2015 programs is open now!